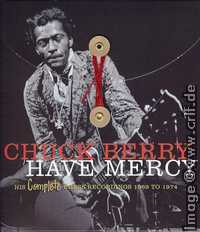 In 2008 Universal's Hip-O-Select label released a four CD set containing Chuck Berry's complete recorded output from 1955 to 1960 as produced for Chicago's Chess label. In 2009 the series continued with another four CD set covering the Chess recordings between 1960 and 1966. 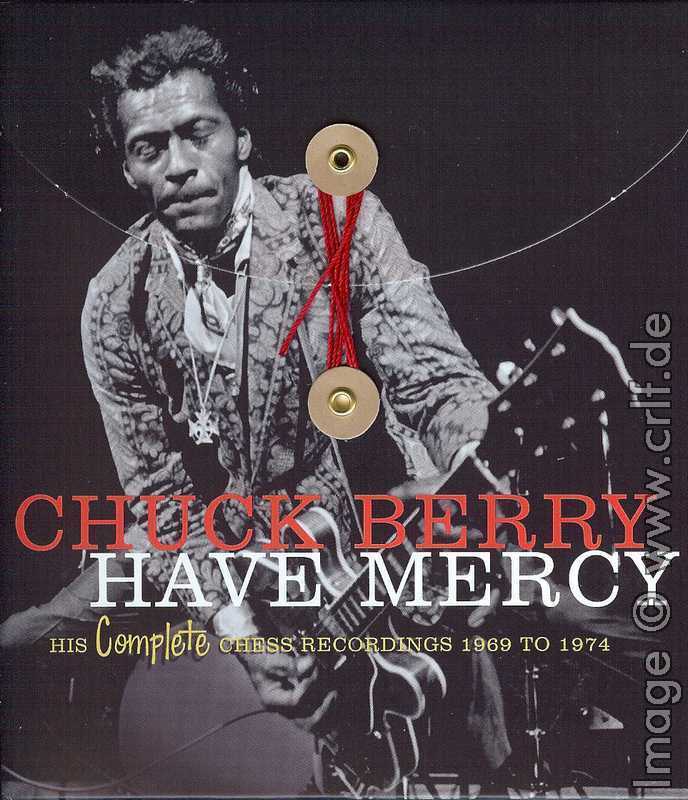 Another new four CD set now completes this series by presenting Chuck Berry's Chess recordings from 1969 to 1974. Those who wonder about the three-year gap between 1966 and 1969 should know that Chuck Berry changed record labels in 1966. For a short period of time he recorded for Mercury Records only to return to Chess in 1969. Even though also the Mercury archives nowadays belong to Universal, the company decided to concentrate on the Chess recordings first. Since almost all Mercury recordings including several previously unreleased ones have been made available on CD during the 1990s, it made sense to skip those. Most of the later years Chess recordings have not been available on CD except for a very rare and expensive box set which was available for a very short time in England until sale was stopped for legal reasons. Of the five vinyl albums Chess released during that time, only “The Chuck Berry London Sessions” had been issued on CD before. As with the other two sets, the new release comes with everything a collector can dream of. Most notably there is more than a dozen previously unknown songs. In addition Andy McKaie of Universal and Berry expert Fred Rothwell selected a couple of alternative versions of known titles and added some more tracks from the Coventry concert which led to Berry's best sold album ever, the London Sessions LP. Design and packaging complement the other two sets. This includes reproductions of the original labels and album covers as well as a selection of rare photos. A 24 page booklet by Fred Rothwell discusses the development of these recordings and lists complete session details as far as he was able to find out from the Chess archives and tape boxes. The Chuck Berry music of the 1970s is different from the earlier recordings. Most of the songs on this set had been known only to the experts who had bought and kept the original albums. They come from a wide selection of original Berry material and of recycled Blues and Country standards, both with new and ancient lyrics. I wonder if Universal called the box set “Have Mercy” to remind us to forgive Berry for producing lesser quality material. The recordings here have been produced for albums where it did not matter if one or two tracks are below standard. And there are several recordings included which are not of top quality. But this is what you get when you buy a “complete” set. Or did they want to point out the top-quality blues number “Have Mercy Judge” which was released as the flip side of Berry's first 45 after his return to Chess? Especially the blues songs contained on this set show that during the 1970s Berry was free to create the music he liked best. Besides the blues numbers, also a series of very fine instrumentals stands out as a highlight of this set. Berry really shines when working with professional musicians raised up with listening to his early recordings. Bob Baldori of the Woolies on the earlier songs and Billy Peek in some later sessions help to create some great Chuck Berry songs. If you like Berry's 1950s recordings for their riffs, melody and intelligent lyrics, take your time to step through these 71 recordings. It's all there. The 1970s introduced big changes to the Chess label. Leonard Chess had sold the company to GRT, a huge New York based music corporation. The old studios in Chicago were no longer used, so the recordings presented here come from a variety of locations, using different engineers, different producers, and different equipment. Not every combination guarantees for success, but it's interesting to find similarities and differences. As the songs on this set come in chronological order, they are much easier to compare than with the original albums who mostly contained a mixture from various origins, including Chess recordings from before Berry's leave to Mercury. For both of the early box sets Universal searched for some very rare live recordings made from Berry performances. With this new set it was not necessary to go searching, as the London Sessions album already had one “live” side. It was said that this album contained only three songs because the audience sang too loud on the remaining recordings. This saying is proven now with five more recordings from the same performance. And these recordings also show that some huge editing was needed to get the original three songs on the album at all. “Roll 'Em Pete” is one of the new tracks. It has been published before as a 45's B side even forgotten on the Charly 9-CD set. Here you can compare the original recording with this heavily edited version. Since the CD set claims to contain his “complete” recordings from 1969 to 1974, we should be allowed to ask what's missing. And, what's unnecessary. Berry's first No.1 hit “My Ding-A-Ling” is included twice: the famous 1972 live recording and a previously unreleased 1969 studio recording. This is fine, but the live recording again is contained twice: the full 11-minute album track and the edited version from the 45rpm single which earned Berry a Golden Record. But then, why is the single version of “Reelin' And Rockin'”, likewise edited, missing? More importantly, the CD set comes with just one take of another live recording: Berry's funny variant of “South Of The Border” was released on a 45rpm single in England only. It stems from a BBC TV broadcast show of which I wish Universal would have included the complete soundtrack as it is one of the best Chuck Berry performances ever. And one which is available only on bootleg records so far. Another live recording I was astonished not to find on this four CD set is from Berry's performance at the Montreux Jazz Festival in 1972. At the festival there where many Chess artists performing and Chess staff recorded all these. A 2-LP set called “Blues Avalanche” was released containing live recordings from Bo Diddley, Muddy Waters, T-Bone Walker and others. According to Michael Ruppli's “The Chess Labels”, two Berry tracks were mastered for inclusion, but finally omitted. So I expected to find at least these two tracks on the new box set, though they are not. According to Fred Rothwell, the two master tapes are lost and all other parts of Berry's performance in Montreux were too bad to include. What a pity! In summary, the Complete attribute might be a bit overstated for this set. I can easily imagine further live recordings or maybe even another alternative take surface in the future. We have just seen it happen with the so-called complete 1950s recordings. But for now this is the definitive collection of Berry's work in the early 1970s and of course it's a must-have for every serious collector. Just like the other two boxes this new CD set is a must-have, no question. The new four CD set comes with 13 previously unknown songs: Untitled Instrumental, That's None Of Your Business, Blues #1, Annie Lou, Me And My Country, One Sixty Nine AM, Roll Away, Turn On The Houselights, Jambalaya, Johnny B. Blues, Dust My Broom, Here Today, and Rockin'. The lyrics to Roll Away and to Me And My Country (as You And My Country) had been known from the Chuck Berry songbook Rock 'n' Roll Poet before. My Ding-A-Ling and The Song Of My Love are included in previously unknown variants, both as studio recordings. Of the instrumental Gun you'll find two additional takes, a slow and a fast version. Also included is another, previously unheard poem called My Pad. In addition to the previously known live recordings there are Sweet Little Sixteen, It Hurts Me Too, Around And Around, and Promised Land from the Coventry show. Next to the released edited version, also the original recording of Roll 'Em Pete from the same show can be found here. Click here for Internet shops the CD set can be ordered from. I have been enjoying these CDs in my car this week. I appreciate this fine series from Hip-o Select and your contributions to these CD compilations, kind sir. I wish Hip-o Select would put out similar sets by other Chess label blues & rock 'n' roll legends: Bo, Muddy, Wolf, Sonny Boy. The Hip-o Select 5 CD set of Little Walter should not be missed! Their 2 disc sets by Muddy & Bo could be discontinued and replaced by bigger sets like this one.